Cancer Screening Nebraska lags behind other states in cancer screening rates. 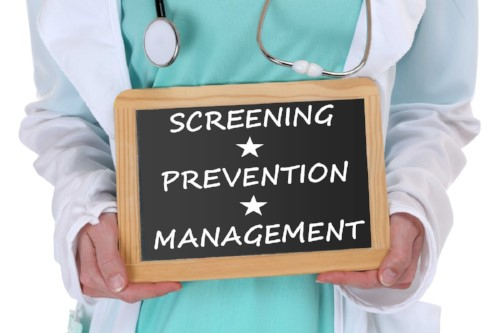 Because early detection saves lives, we developed the Nebraska Physicians Cancer Screening Project to increase cancer screening rates to detect colon and breast cancer in their more curable stages. The successful project received national recognition from the National Colorectal Cancer Roundtable for improving cancer screening rates in our community. Cancer Prevention Two vaccinations in adolescence can prevent almost all cervical cancers and half of throat cancers. With low vaccination rates in our community, we coordinate the Lincoln HPV Project to save lives by increasing immunization levels. Diabetes Care Diabetes is the leading cause of blindness and kidney failure. Because proper care management can improve the health and longevity of those with diabetes, we developed and oversee the Lincoln Diabetes Quality Improvement Initiative. The project assists clinics and healthcare providers in helping patients control their diabetes, lowering their risk of blindness and kidney failure, and lowering healthcare costs.